We bring forth for our clients a wide array of Cashew Peeling Table. This table is manufactured using optimum grade basic material and modern techniques by our experienced professionals. 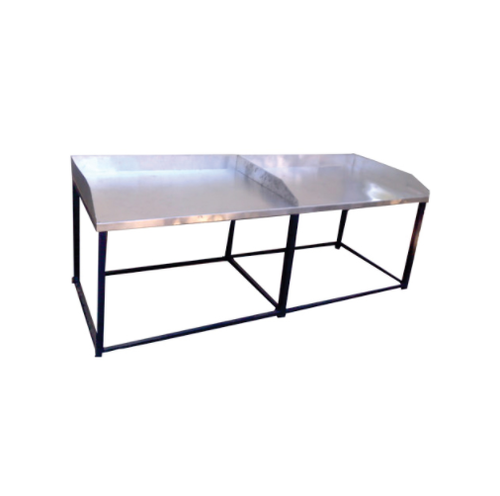 This table is well known in the market owing to its optimum strength and corrosion resistance. Our offered table is available in various specifications as per the needs of our valuable clients. We "Pelican Cashew Tech" are the foremost partnership firm, engaged in Manufacturing and Supplying of a premium quality range of Cashew Karnels Grading Machine, Cashew Oven, Automatic Cashew Processing Machine, Cashew Nut Processing Machine, etc. Established in the year 2010 at Ahmedabad (Gujarat, India), we are backed by a sophisticated infrastructural base that comprises of various units such as production, quality testing, procurement, warehousing, and sales & marketing. The production unit is equipped with advanced technology and tools that are required for manufacturing various kinds of machines. All units are operated under the guidance of our experts to maintain streamline work-flow. Owing to our qualitative machines, wide distribution network, ethical business policy, reasonable price structure and timely delivery, we have been able to set a benchmark in the market.